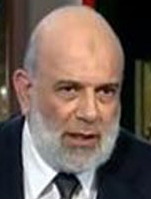 Wagdy Ghoneim is an Egyptian cleric known for his anti-Semitic speeches. In January 2005, Mr. Ghoneim agreed to be voluntarily deported from the U.S. based upon Department of Homeland Security concerns that his past speeches and participation in fund-raising activities could be supportive of terrorist organizations. For a profile on Wagdy Ghoneim, go here.